Meijer is the only place you need to go for everything Halloween. 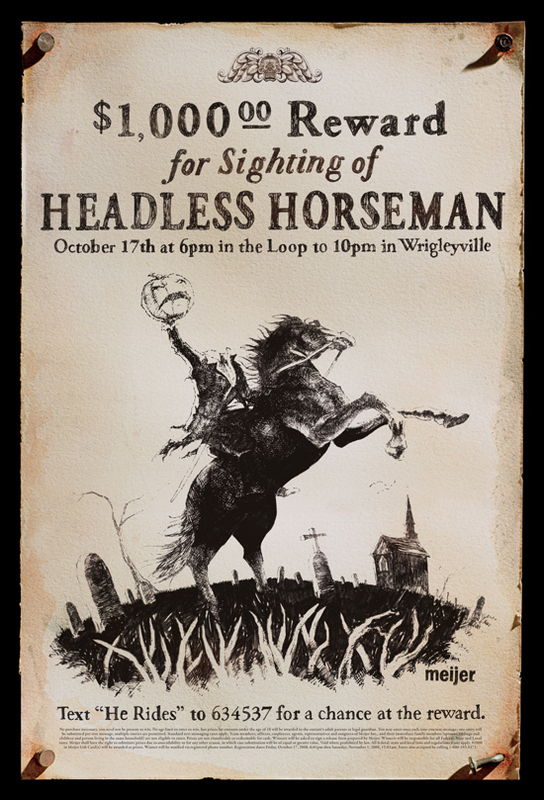 Turn Chicago into a real life Sleepy Hollow & offer a reward for catching the Headless Horseman. We put up wanted posters offering various Halloween related rewards for catching the Headless Horseman. A few days later, we projected a 75 foot fire breathing Horseman onto the sides of buildings throughout Chicago. Local media picked up on the story as hundreds of people caught the Horseman making the Halloween season one of the most successful for Chicago area Meijer stores.